Offering you a complete choice of products which include vacuum oven and forced air ovens. 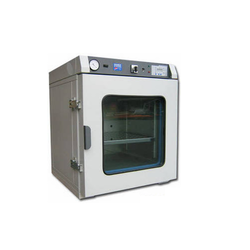 We are an eminent name, which is engaged in delivering Vacuum Oven at clients' premises. 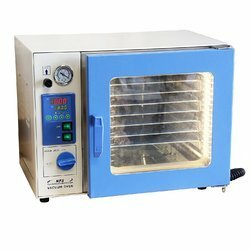 The offered range of vacuum ovens is manufactured utilizing high-grade raw material and innovative technology in complete adherence with the international quality norms. Along with this, the offered range of vacuum ovens is suitably checked on different characteristics to maintain its authenticity throughout the designing process. 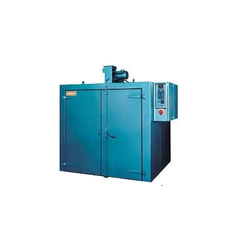 We are an eminent name, which is engaged in delivering Vacuum Ovens at clients' premises. The offered range of vacuum ovens is manufactured utilizing high-grade raw material and innovative technology in complete adherence with the international quality norms. Along with this, the offered range of vacuum ovens is suitably checked on different characteristics to maintain its authenticity throughout the designing process. Counted amongst the leading entities of this domain, we are betrothed in offering Forced Air Ovens. These ovens are accepted globally for its brilliant shine and fine finish. Also, these ovens have three opening deck that can bear quite a heave load approximately 25 kilos. The offered oven is manufactured using quality grade steel sheet which is coated with heat and fire resistant paint.